The term muffin typically refers to an individual sized quick bread product which can be sweet or savory. The typical American muffin is similar to a cupcake in size and cooking methods. These can come in both savory varieties, such as corn or cheese muffins, or sweet varieties such as blueberry or banana. Muffins are a delicious easy snack, great for breakfast on the go or anytime, thank you to all JAP cooks for your yummy recipes. Thank you for include one of my coconut flour muffins in your book. 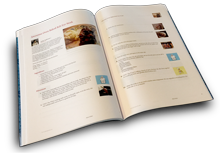 Thank you for including my recipes in your cookbook. Cannot wait to try others included. Thank you for including my bran muffins in your book.